Young Gabby Goodwin Gets a Distribution Deal in 16 States for GaBBY Bows! Last year, we reported on GaBBy Bows, a successful hair accessory company, led by then-nine year old Gabrielle Goodwin, that became well-known after Goodwin?s family launched a Kickstarter campaign to raise money to start the company. Now, Goodwin has landed a big distribution deal! According to Goodwin?s mother, Rozalynn Goodwin, she and Gabby were invited to a trade show in Texas this past January. ?I thought we were just going to attend a trade show and the opportunity resulted in not only several orders, but a distribution deal to have the barrettes on the shelves of fifty Once Upon a Child stores across 16 states,? Goodwin told TNJ.com. And Gabby?s work has garnered several awards for the South Carolina native. 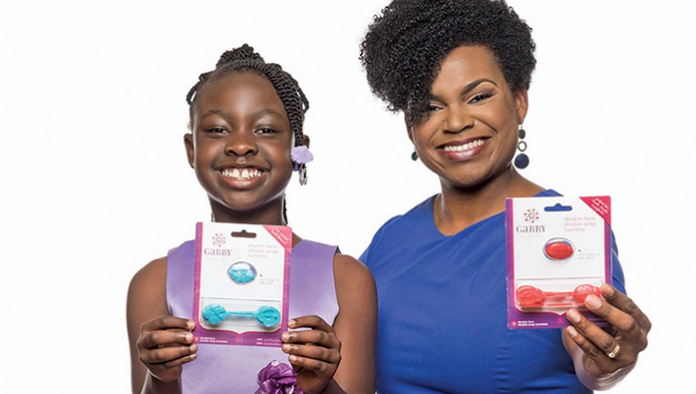 According to Black News, the mother-daughter team was named a 2016 SCORE and Sam?s Club American Small Business Champion, and awarded as the 2016 SCORE Foundation Outstanding Diverse Business of the Year. What?s more, a children?s book about Gabrielle and GaBBY Bows, ?Gabby Invents the Perfect Hair Bow? will be published by Entrepreneur Kid this summer.